Actually I went to the Book Fair twice. At 10 am (it opened at 9 am) to see if there was anything interesting or appealing, then after noon (to closed at 1 pm) to get some half-price fiction and vampire books. 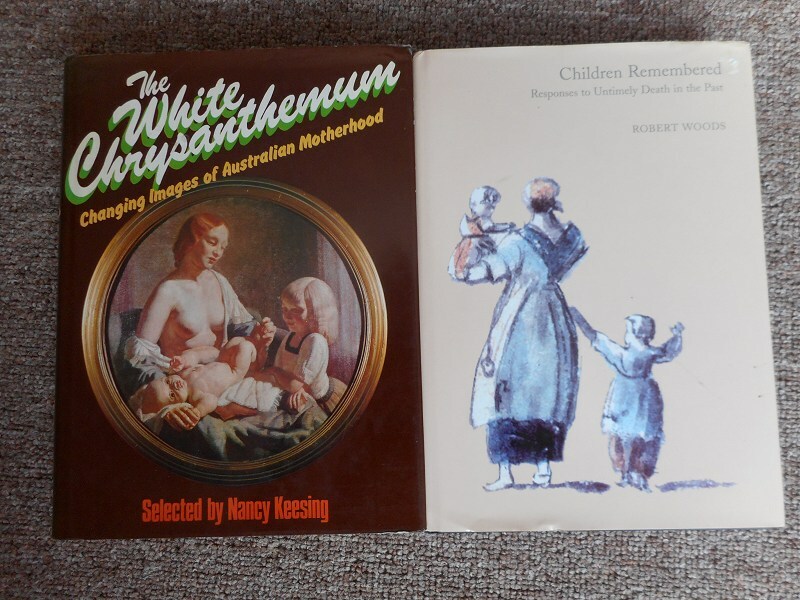 The White Chrysanthemum: changing images of Australian motherhood was on the Collectables tables, amongst the overpriced books about Tasmania & the old obscure books that no one wants. I didn't really expect to find anything there ten minutes before closing, but I picked up a pile of skinny magazine-format books and there it was. It's a collection of stories, journal extracts, pictures, poems and other sources about, well, what the title says. Looks rather interesting. 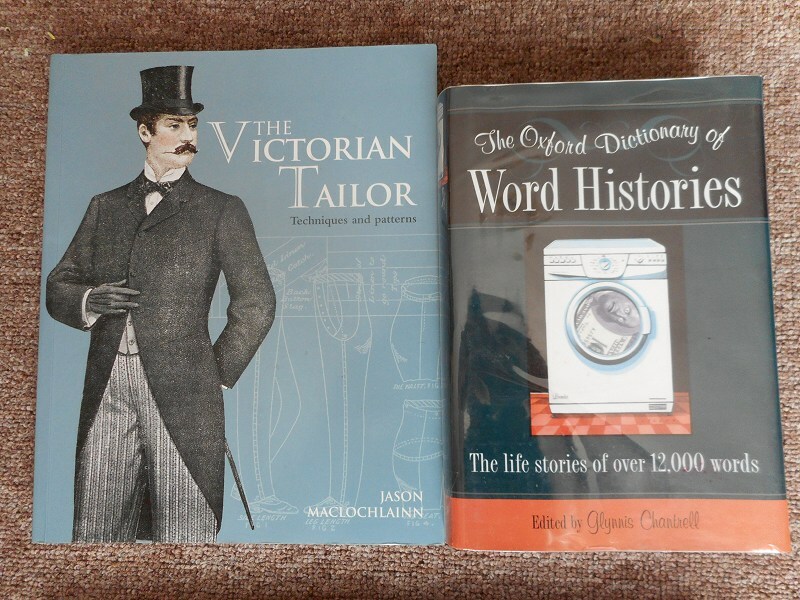 Two more things from last week's book fair, and they're a bit odd. Over to one side was the table with "Tasmania" and "Collectables". Both of which, I assume, get picked over particularly closely so all that's left is stuff no one wants or relatively expensive books (expensive in BF terms, where most books are under $5). 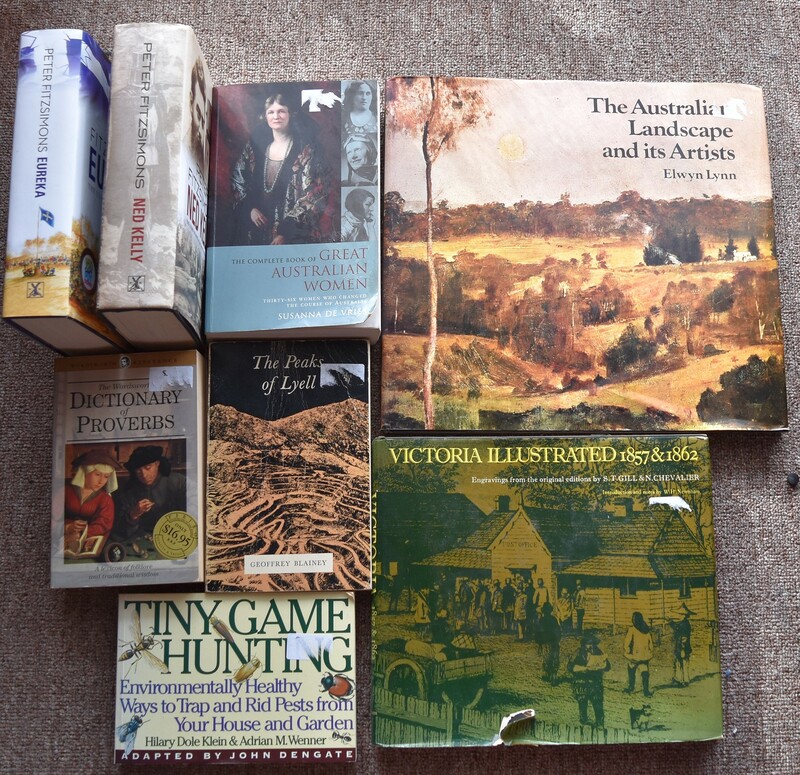 But then last year I found the Von Stieglitz bushranger booklet & a Clune book, so it's worth looking for the odd volume that appeals to me but not other people. 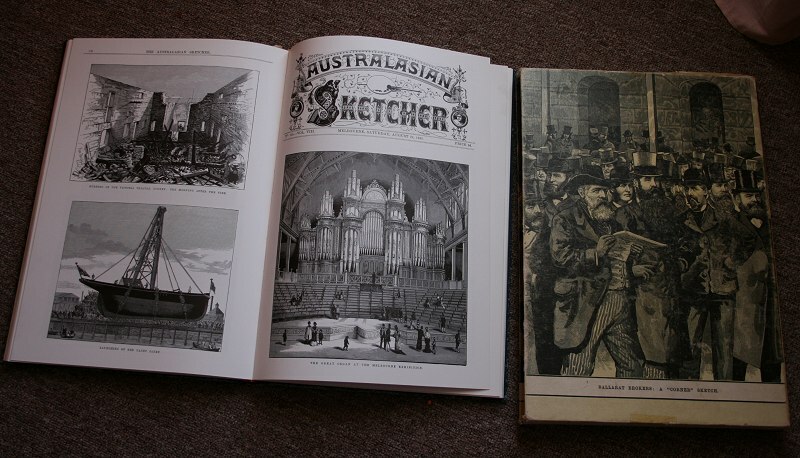 On my second pass I saw a boxed book, The Australasian Sketcher, 1880, a rather large volume that reprinted a year's worth of the Sketcher (an illustrated newspaper put out weekly or monthly by the publishers of the Melbourne Argus) in one volume. Except it wasn't boxed, it was being looked at by a guy who seemed to like it very much and didn't seem particularly eager to put it down. I waited (and checked how much it would cost to buy elsewhere) and waited and decided that if he put it down and it was about $30, it was mine. He did, eventually, and it was $30. Today was the Friends of the Library Book Fair. 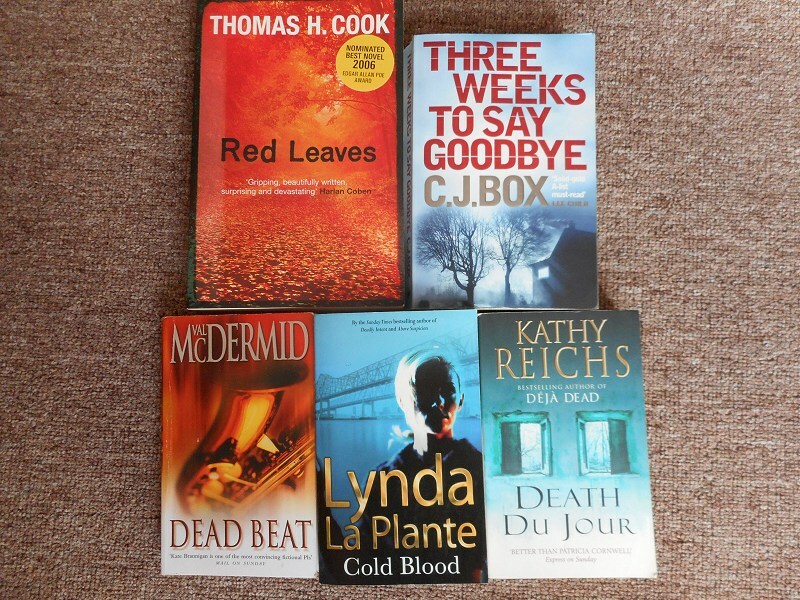 Usually when I go I end up in the last hour (All fiction half price! 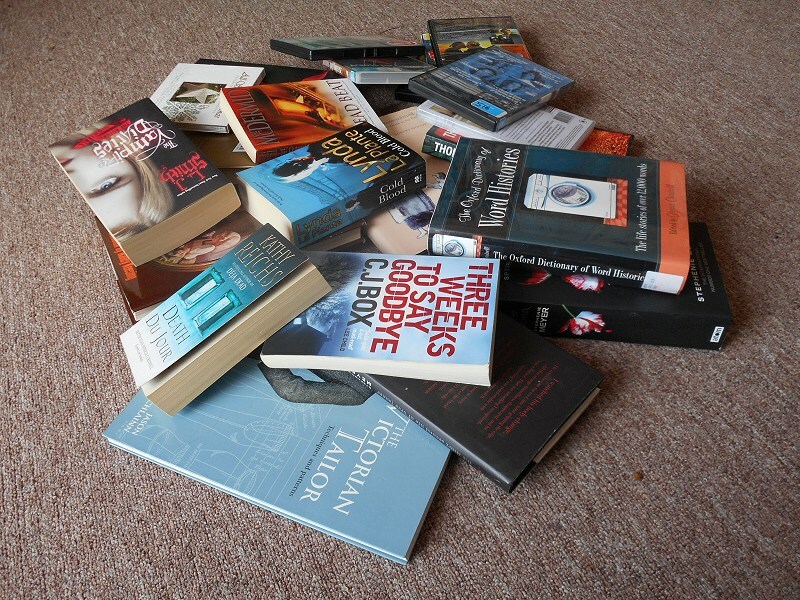 All the books you can fit in a bag $5!) and mostly buy books because they're cheap and I might read them or something. One day. This year I wanted to go a bit earlier. Not at 9 am when it opened (too busy) but I was aiming for 10 am. I ended up there about ten minutes before that. Still busy, but not too crowded. 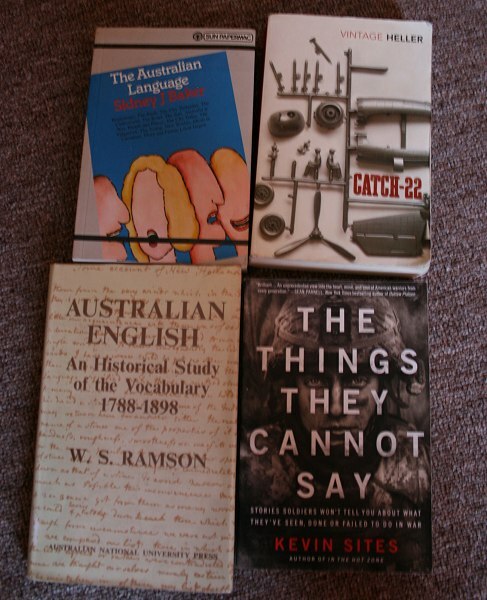 I ended up with two bags of interesting books, well three but that third one just had one large book in it.